The E3 presentation by Sony as it unveiled the PlayStation 4 was very exciting to say the least but one slide might have jarred the celebratory fans for a bit. Sony explained that online features and services are going to be a “big pillar” of the PS4 experience. $399 is the price point we always wanted to hit. We carefully looked at the potential of the technology we put in the PlayStation 4. We believe that when PS4 comes out it will be the most powerful system inside. While I do think that there will be some who’ll be against Sony’s decision to put online multiplayer behind a paywall, unless you really need it, you’ll still able to play games without paying for a PlayStation Plus subscription. And when you decide to get a PS Plus subscription, you’re paying for more than just multiplayer (remember, you get a free game if you PlayStation 4 if you have PS plus subscription) unlike how Microsoft handled XBL where even the basic video services are only accessible upon subscription. 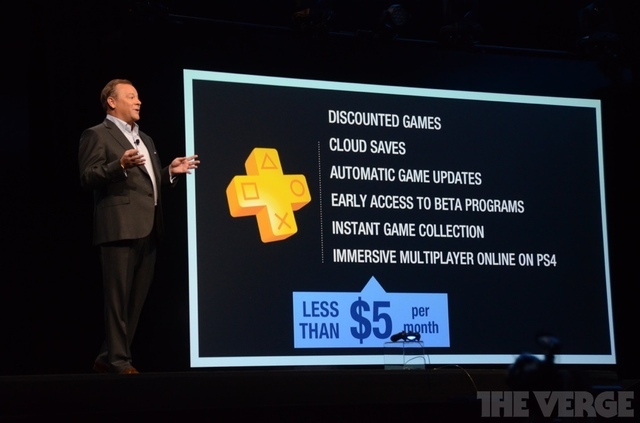 PlayStation Plus is a great investment, particularly if you’ve invested in the PlayStation ecosystem since you’ll be getting not just cloud saved backups but free titles for your various PlayStation consoles AND discounts on your digital purchases. And it’s still just below $5 a month.